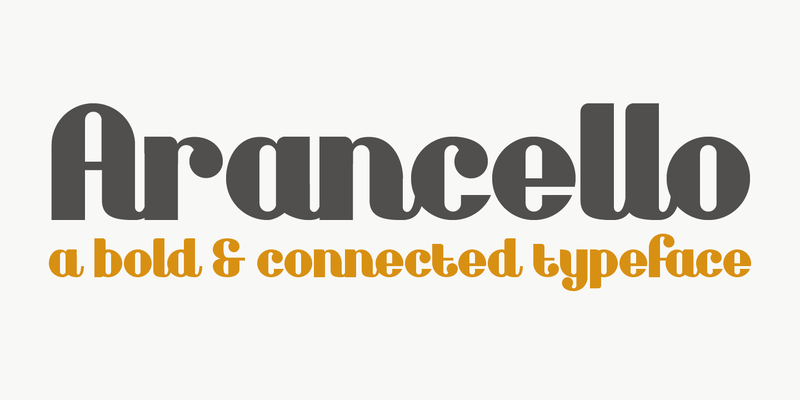 Arancello is a lovely connected Didone. It is a rather bold typeface, so use it for headlines, posters and product packaging – anything, really, that needs a sophisticated and bold look. Comes with some ligatures for letters that just won’t connect well.